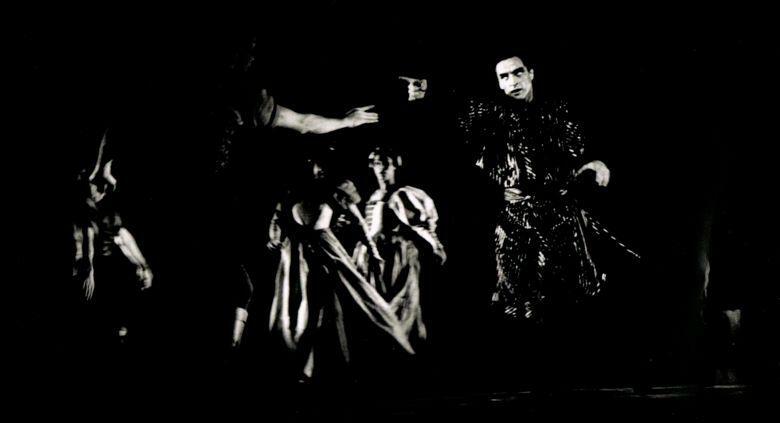 "Given Brandstrup’s confident and impassioned choreographic style with its strongly dramatic basis and cinematic fluency, Mukhamedov had no need to adapt his classical training to any avant-garde steps or movements. His part was brilliantly tailored to suit the vigorous and virtuoso Bolshoi technique "
"Their relationship ( Othello/Iago) is developed by a series of devices that are often stunning in their economy. As Iago, literally, dogs Othello's movements you can almost see him leeching away Othello's confidence and joy. When Othello starts to crack he lifts his hands to ward off the diabolic strength of Iago's presence. Most vivid of all is the way that Iago's fabrications are staged. The rest of the characters perform a masked dance for Othello and, as they change partners, Iago freeze-frames the action to show Cassio and Desdemona in erotically compromising positions."